Gaithersburg HELP is an all-volunteer 501(c)(3) nonprofit organization. We serve all Gaithersburg-area residents in need, regardless of age, gender, ethnicity, race or religion. When you donate directly to Gaithersburg HELP, 98% of any funds that you contribute will go toward fulfilling client requests from one of our four major programs – and your donated funds are 100% tax deductible! Gaithersburg HELP relies on community support to maintain our vital services. Your help is greatly appreciated – we simply could not do this important work without you. By default, all contributions are applied to our general fund. If you would like to direct dollars for a specific program, please include a notation in your correspondence, designating a specific program – Food, Infant Needs, Prescription Funding or Transportation. We also accept donations “In Memory” or “In Honor of” friends or loved ones. While Gaithersburg HELP always appreciates financial support, donations of nonperishable food items are also welcome. Please see the list of Food Items Currently Needed, and Contact Us to schedule a drop-off at our pantry. To learn more about opportunities to help, including how you can host a food drive at your school or place of business, please visit our Partner With Us page. Amazon Smile is a website operated by Amazon with the same products, prices, and shopping features as Amazon.com. The difference is that when you shop on Amazon Smile, the Amazon Smile Foundation will donate 0.5% of the purchase price of eligible products to the charitable organization of your choice. Sign in to your Amazon account, or “Create your Amazon account” if you don’t already have one. When prompted to “Select a charitable organization”, type in Gaithersburg HELP, Inc., and press Enter, or click/tap the Search button. In the search results, next to Gaithersburg HELP, Inc., click/tap the Select button to confirm. 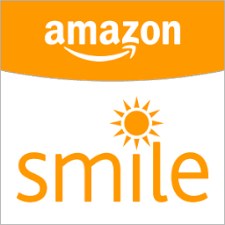 Click/tap the checkbox next to “Yes, I understand that I must always start smile.amazon.com to support Gaithersburg HELP, Inc.”, then click/tap the Start Shopping button. If you have setup a bookmark, favorite or shortcut to Amazon.com be sure to change it to go to https://smile.amazon.com. From then on, whenever you shop Amazon Smile, 0.5% of your purchase (most products are eligible) will be donated to Gaithersburg HELP!